H2 Inland Championship at Draycote Water Sailing Club. The H2s were the largest class in the medium fleet. Four races were sailed in brilliant sunshine, tempered by a chilly easterly light to moderate breeze. The big question was whether South Cerney SC member and H2 Class Chairman Richard Leftley had enough breeze to propel his 95kg frame around the course quicker than the lighter helms. Richard had finished third at this year’s National Championships, showing unbeatable speed to windward and, sure enough, he was first at the windward mark in every race. Simon Hipkin, James Oxley, and particularly Dave Barker successfully closed the gap on him on the off-wind legs, only for Richard to squirt away again upwind. Richard made a clean sweep of all four races, but competition was very close in the pursuing pack. Dave and Simon tied on points but the discard worked in Dave’s favour for a well deserved second place. James Oxley, a clubmate of Simon’s, borrowed a boat to finish a creditable 4th. As is usual with major H2 events, every competitor received a prize. 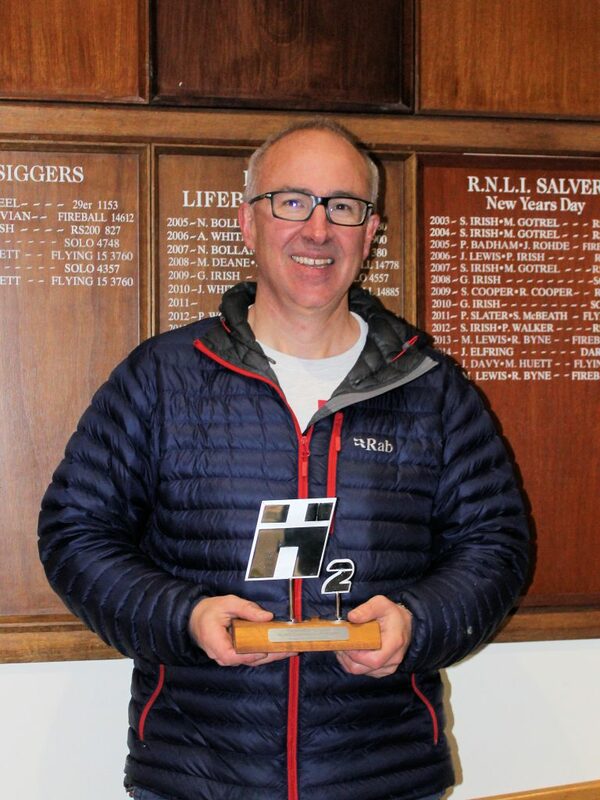 As a regular spectator at H2 events I have observed a distinct increase in boat speed throughout the fleet over the last year, thanks to a great training day by Jim Hunt and also the increased opportunities for boat on boat competition. South Cerney SC now have six H2s at the club and the regular competition has no doubt increased Richard’s performance. 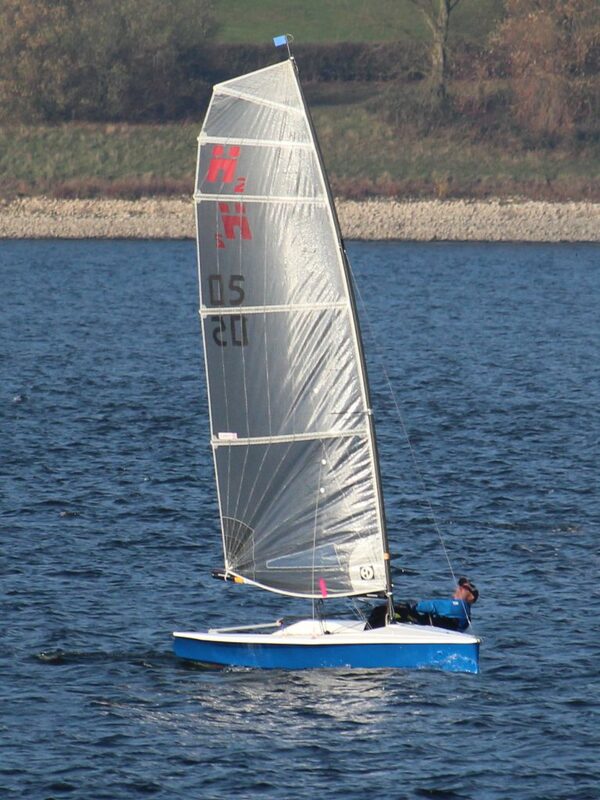 The Hadron H2 Class Association thanks the SailJuice Series organisers and Draycote Water SC for hosting this event.